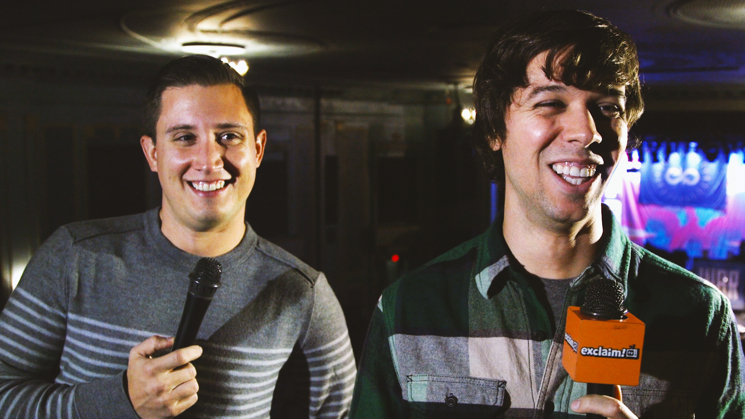 Last December, August Burns Red brought their latest record, Found in Far Away Places, on tour; when they swung through Toronto, we caught guitarists Brent Rambler and JB Brubaker before their show to discuss the method to their metal madness on this latest episode of Exclaim! TV's Aggressive Tendencies. Last year's Found in Far Away Places featured heavy experimentation on the band's part, which Brubaker claims stemmed from their constant attempt to breathe new life into the band's sound. The LP also features lyrics that touch on important social issues, as seen on their recent single "Ghost," which shines the light on the epidemic of homelessness in America. Though they have been "mulling over" a tenth anniversary tour for 2007's Messengers, nothing is set in stone as of yet. For now, they've got a full roster of North American dates ahead of them in the coming months with fellow shredders Between the Buried and Me. Watch the interview in full below. Beyond that, find the band's complete tour itinerary.